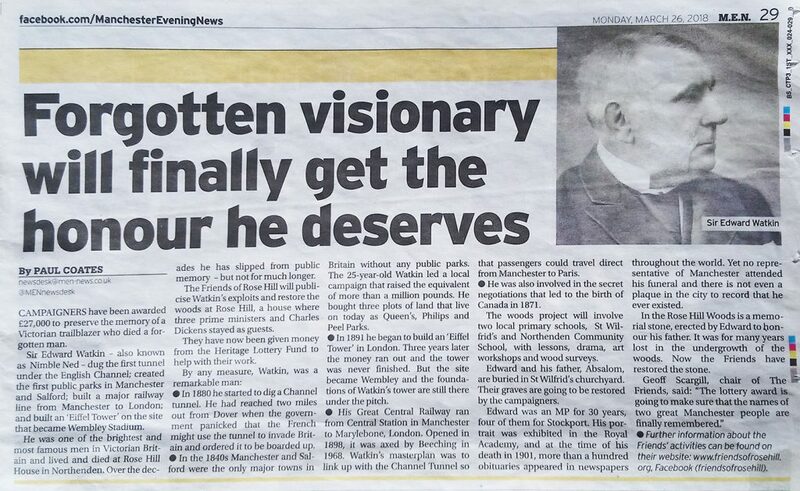 At the end of March the Manchester Weekly News published an article about Watkin and the Heritage Lottery Fund project we are currently delivering. In case you missed it we have reproduced it here. Click on the image for a larger view. It may take a short while to download.